First things first, there are no surprises with the specifications and physical design of EVGA’s GeForce GTX 1070 Ti FTW2 iCX. But as the top card in the EVGA GTX 1070 Ti stack, the GTX 1070 Ti FTW2 is the most feature-packed model. It also boasts the only RGB LED capability of the bunch, though this partially serves a more practical purpose in addition to the decoration. 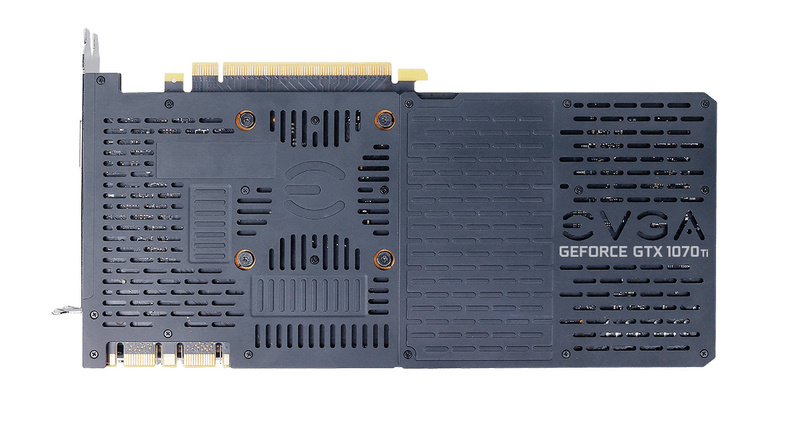 Nevertheless, the centerpiece of GTX 1070 Ti FTW2 is the iCX thermal sensor and cooler system, first introduced by EVGA’s GTX 1080, 1070, and 1060 iCX series. An array of onboard thermal sensors and microcontroller units dot the PCB, allowing for enhanced monitoring and regional temperature adaptive behavior. 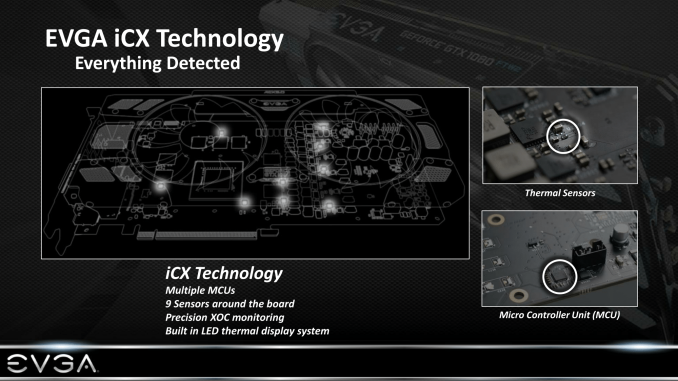 All this can be displayed, logged, and adjusted through EVGA’s Precision XOC utility. In the beginning, only Precision XOC could read the iCX thermal sensor data, but at this point GPU-Z and other standard monitoring tools can display and log that data as well. 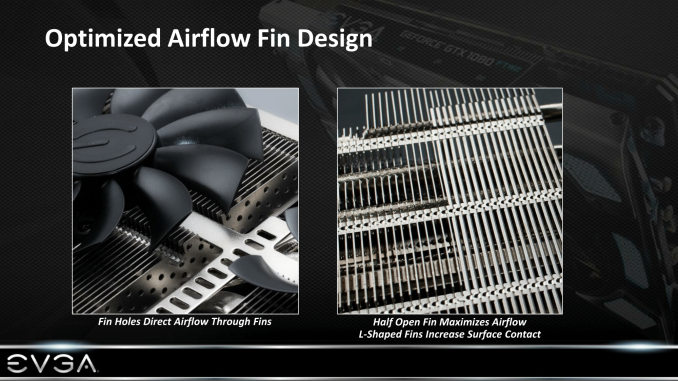 So while the dual fan open air construction looks very similar to EVGA’s ACX 3.0 cooler, the fans do not operate the same way. iCX features asynchronous fan cooling, dictated by the 9 thermal sensors distributed among the GPU, PWM/VRMs, and memory. The GPU fan operates in response to the reported GPU temperatures, while the VRM/memory fan operates in response to VRM/memory temperatures. 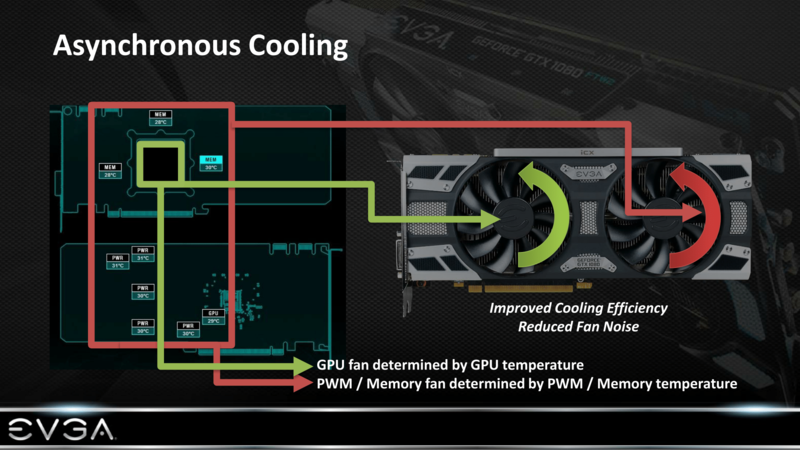 While modern GPUs all have built-in temperature sensors – as do most high-end VRM setups, for that matter – it's very rare for a card's fan speed to be tied to anything besides the GPU. This despite the fact that VRMs in graphics cards and motherboards alike can get quite toasty on their own. 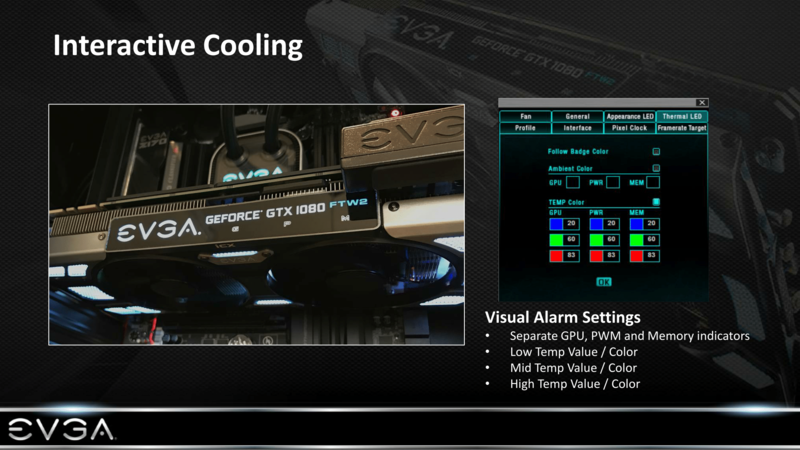 EVGA, for that matter, is no stranger to overheating VRMs. In 2016, their GeForce 10-series FTW models with ACX 3.0 cooler cards began suffering from overheated VRMs, due precisely to the fact that their cooling system was focused on GPU temperatures while ignoring VRM temperatures. 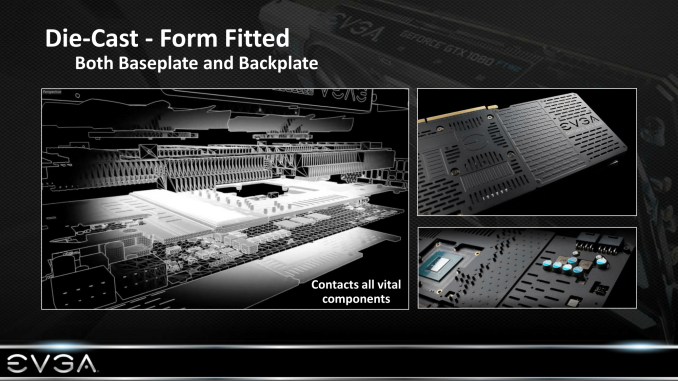 In the end, EVGA released an updated VBIOS and offered free thermal mod kits to those affected. But it also served to spur the company into developing the iCX family of cards, where not only was VRM cooling beefed up with more passive components (better transfer from the FETs to heat dissipation surfaces), but also having a fan respond to VRM temperatures. As a result the iCX series can be seen as the pendulum swinging the other way – for most users it's probably a bit overkill, but you can't accuse EVGA of not learning their lesson or taking the matter more seriously these days. Within Precision XOC, the asynchronous fans may be controlled separately, and can also be assigned separate fan curves for more granular control. 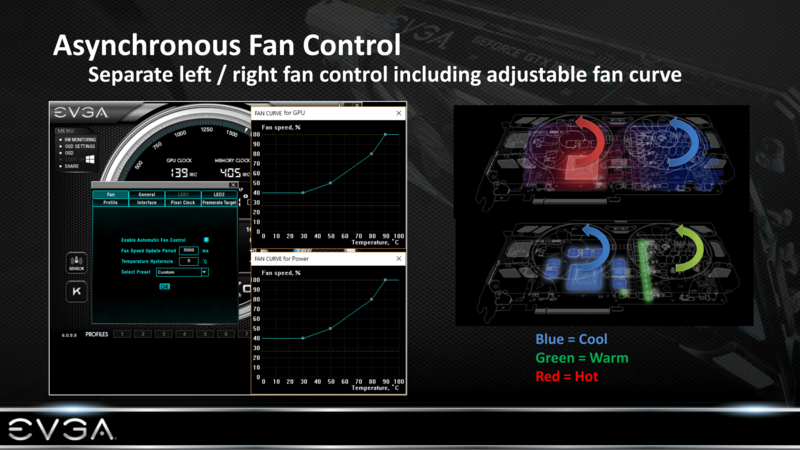 The idea is that intelligent fanspeeds can reduce excess fan noise and improve hotspot cooling. Combined with the pre-existing semi-passive zero fan speed idling, iCX cards – and users – can tune or tune fan operation for noise and fan lifespan. In theory, this could also be used to reduce fan power in exchange for extra GPU power on TDP limited NVIDIA-approved designs, something we saw in EVGA’s GTX 970 FTW ACX 2.0, but would mean less for the GTX 1070 Ti FTW2 and its 180W TDP. The GPU, PWM, and memory thermal sensors go so far as to assist the “G”, “P”, and “M” RGB LEDs on the side. By default, the three status LEDs change color according to temperature; this may be customized to fit or simply replaced with different colors for aesthetic lighting purposes. Returning to the actual cooler, the GTX 1070 Ti FTW2 incorporates a form-fitted multi-part backplate and backplate, with thermal pads in the appropriate areas. 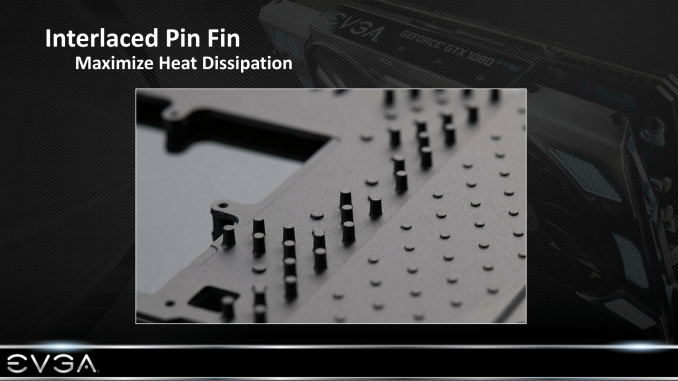 And as part of the iCX cooling solution, some of the plates have pin-like protrusions, or “pin fins”, that increase surface area and in turn improves heat dissipation. Additionally, the iCX heatsink has half-open and L-shaped fins, and the fins themselves have small holes. The openings are meant to improve airflow, while the L-shape is intended to increase surface contact. Finally, as one last layer of protection, the iCX solution includes a safety fuse on the PCB, which protects the board against more damage should a component fail. So as a whole, iCX, or “Interactive Cooling Xtreme”, is much more focused on user-facing features, rather than a significant reworking of ACX 3.0’s pure cooling performance. Elsewhere on the GTX 1070 Ti FTW2 board is its 10+2 power phase design, which is presumably a doubled 5 phase design as observed on the GTX 1080 Ti FTW2. Along the top, board features SLI HB connectors as usual, and adjacent to the dual 8-pin PCIe power connectors is the small Dual BIOS toggle. Now a staple higher-end EVGA feature, Dual BIOS is exactly what it sounds like: 2 usable VBIOSes, selected via that small switch on the top of the card. The purpose of the Dual BIOS function then is two-fold: offer a second configuration for the card for less common use cases, and to include a second BIOS so that the card can safely have further BIOSes flashed without rendering the card unbootable, which is handy if you're into BIOS modifications. In the case of the FTW2, these BIOSes are fairly different, and as a result the BIOS selection can have a material impact on overclocking performance. The default, out of the box BIOS, BIOS 1 (Master) runs the card as described thus far, with a typical low-noise fan curve, standard 83C temperature target, a maximum power limit of 216W (120%), and zero fan speed idle enabled. BIOS 2 (Slave) is far more overclocking oriented, dropping zero fan speed idle while utilizing a more aggressive fan curve, and on the power/temperature side the card's temperature target is raised to the 93C maximum and, most importantly, the power limit is raised to 235W (130%). It goes without saying then that BIOS 2 is meant to offer the better out-of-the-box overclocking experience – in particular the increased power limit can't be achieved in software – but it still has to respect NVIDIA's voltage limitations, not to mention the card's power limitations. Speaking of which, considering that the GTX 1070 Ti is presumably still unfriendly to actual voltage increases, the 375W total from dual 8-pins and PCIe slot is overkill for the default dual BIOS. As far as display output goes, the GTX 1070 Ti FTW2 is fairly straightforward with 3 DisplayPorts, 1 HDMI, and 1 DVI-D, covering the usual bases of TV and VR with HDMI, as well as DVI-only monitors and legacy uses with DVI-D.
Oh cool! 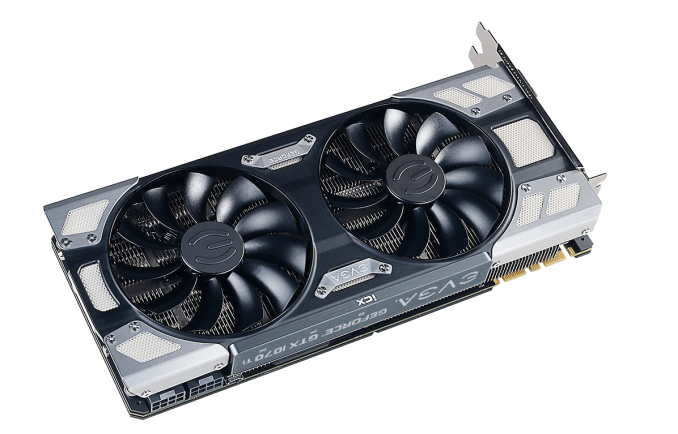 Anandtech finally reviews some aftermarket gpus! People are pointing the finger at miners, but it's more than just an alternative coin mining issue. AIB partners are hesitant to make more cards because the last time GPU mining was big, GPU AIBs mostly sought to meet bigger supply to the bigger demand, only to get burned three-ways. 1) Bitcoin market crashed. This led to GPU demand faltering quickly. a) Miner card resale market providing cheaper cards to those at lower price brackets. b) Lack of miner demand which the increased supply was supposed to meet. c) New GPU architecture releasing the next quarter, while they were still stuck on lots of old GPUs. 3) Excess of warranty claims for excess GPU supply to miners. Also, GPU pricing is also being affected by 3rd party sellers wanting to take advantage of the mining demand. 3rd party marketplace sellers on Amazon marketplace, Newegg marketplace, and eBay are also scalping excess GPU stock not to mine, but just to resell to gamers willing to fork over the money, but particularly to miners which can still recoup on the purchase, but will face a longer return on investment. Don't buy from 3rd party marketplace scalpers, they're just as guilty as miners (if not moreso, as they have no intent to even open the GPUs to use them for themselves) for draining supply from 1st party sellers, which prevents folk like you from getting rational prices.